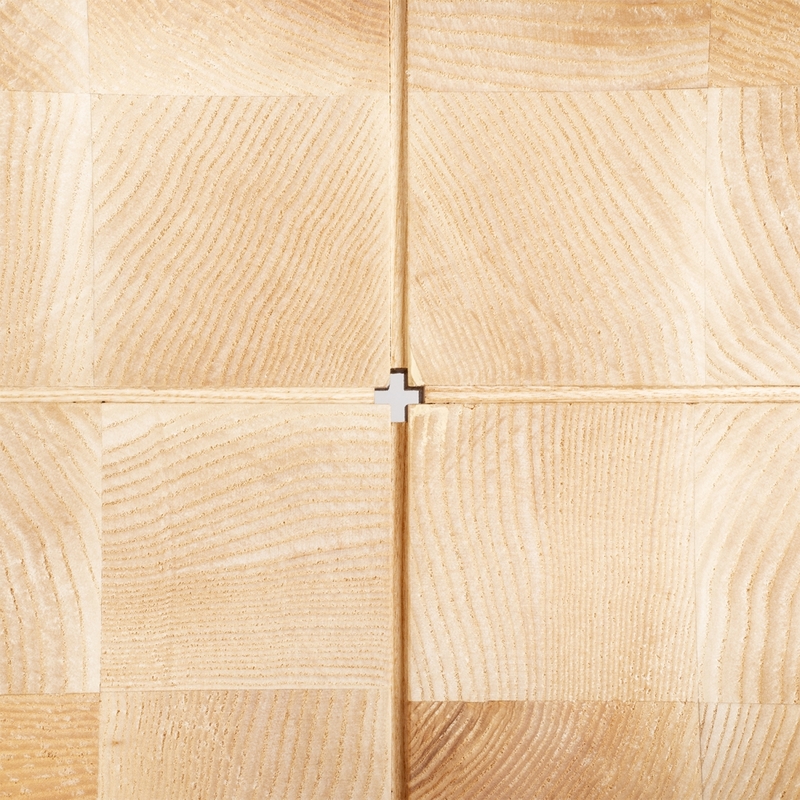 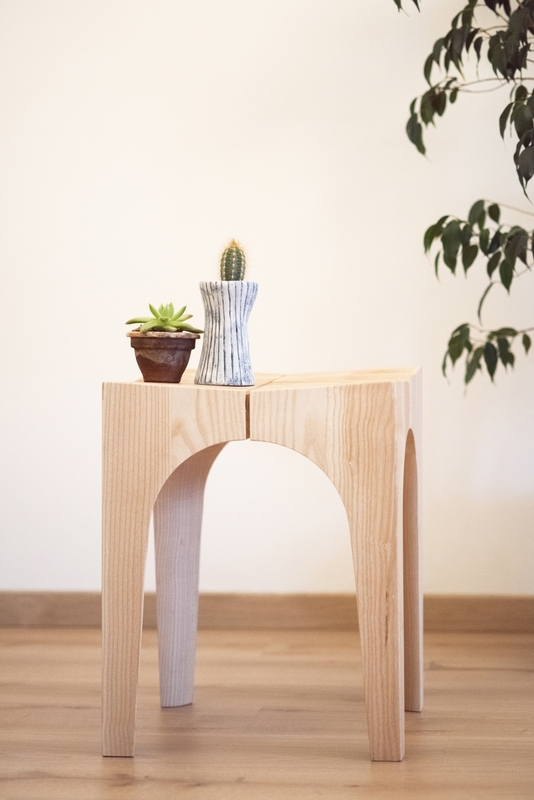 A consolidated process, such as wood turning, is reinterpreted in a simple and intelligent way to generate new shapes. 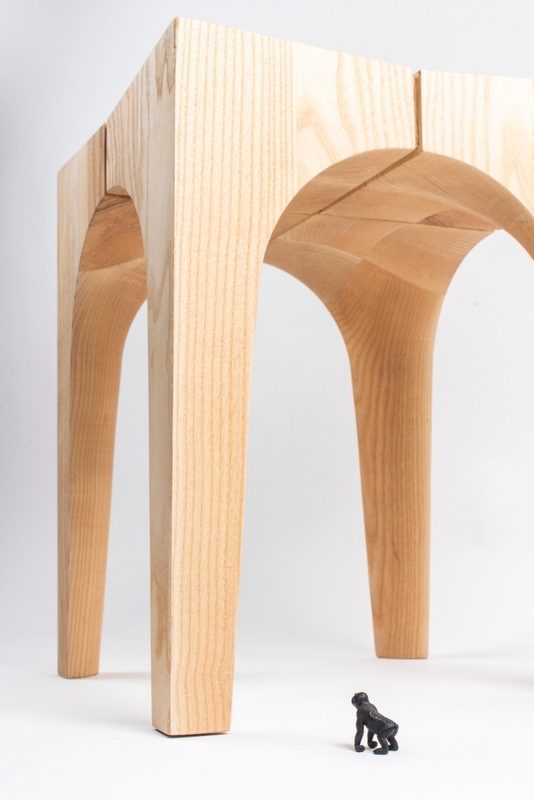 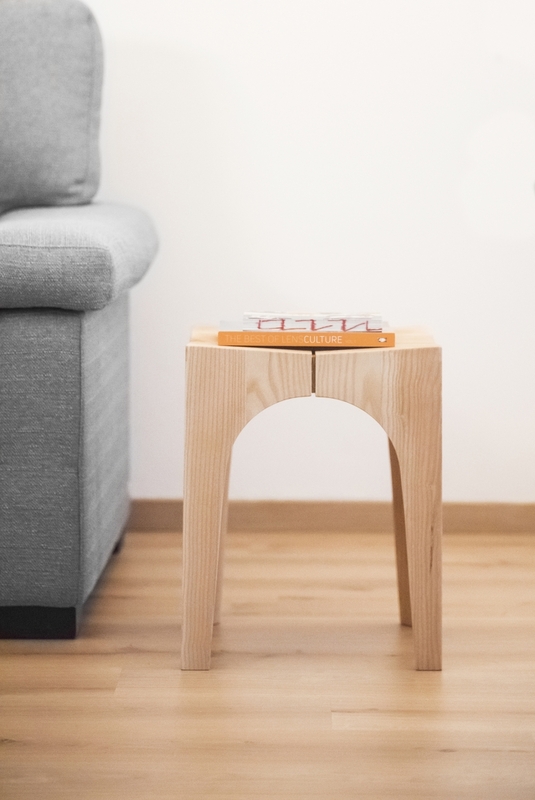 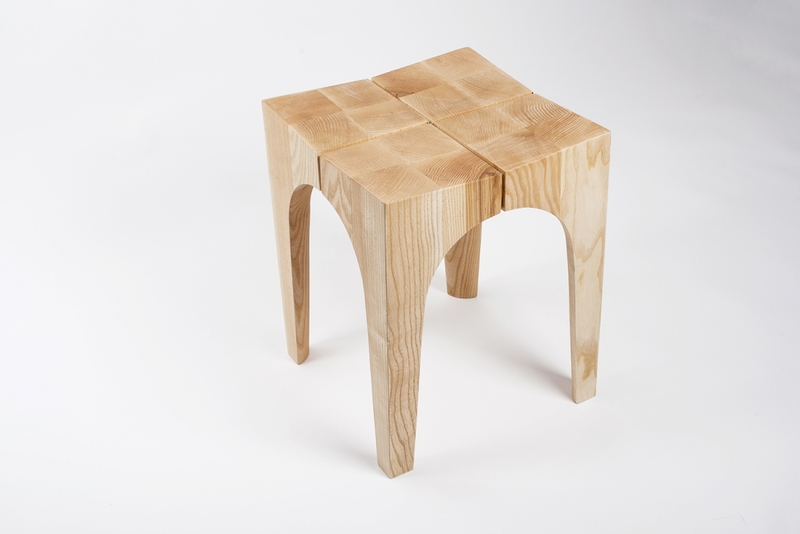 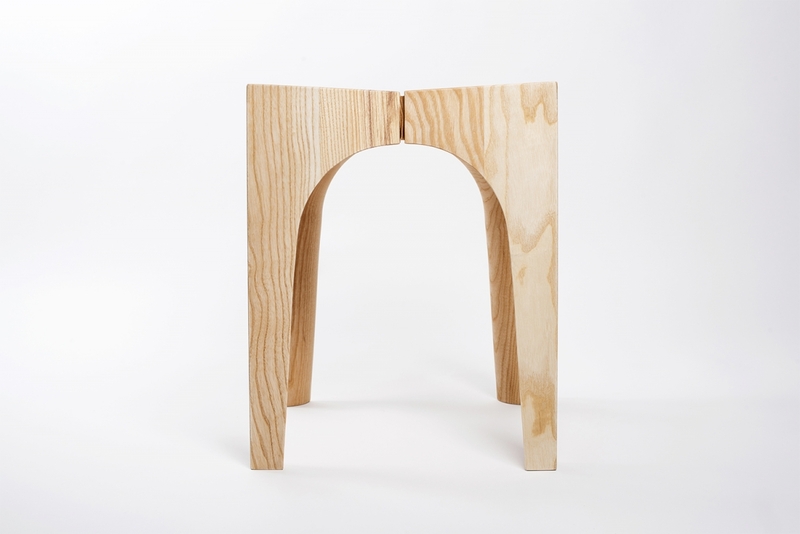 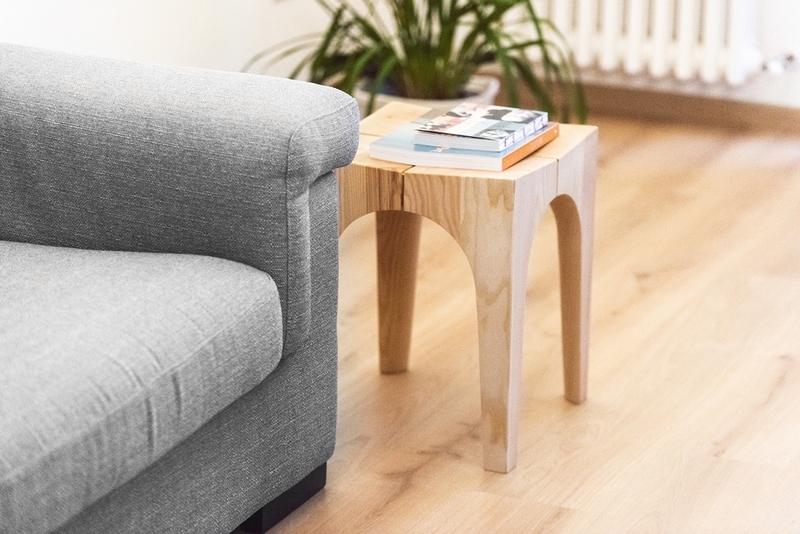 The turned piece is cut into four equal sections, which are rotated and reassembled to form the four legs of the stool. 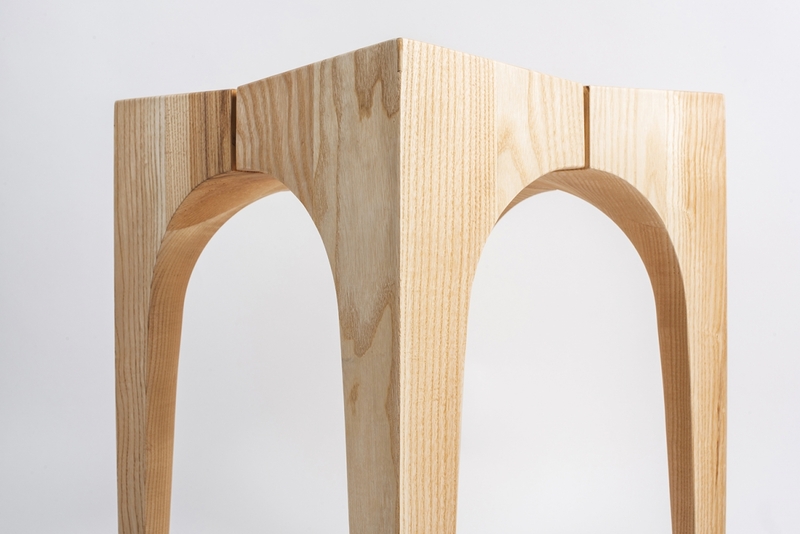 The stool with its classic and clean shapes tends to emphasize the geometries obtained from the new production process.